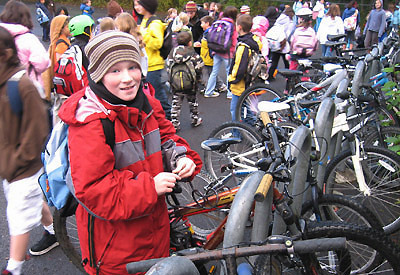 Two events this week will highlight kids’ cycling in Sitka — the inaugural National Bike to School Day on Wednesday, May 9, and the Sitka Bike Rodeo on Saturday, May 12. On Wednesday, schools all over the country will encourage students to hope on their bikes for National Bike to School Day. Some schools will offer special events and prizes during the day (I haven’t heard of any special events in Sitka). To encourage safety, parents are encouraged to ride their own bikes with their kids as they head to school. Don’t forget Sitka has a bike helmet ordinance for children age 18 or younger. 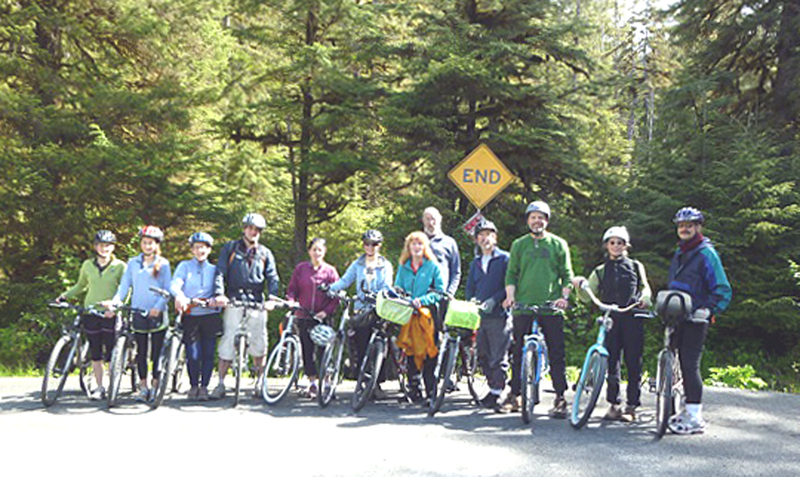 The Sitka Bike Rodeo is an annual event sponsored by the Sitka Rotary Club and U.S. Coast Guard-Air Station Sitka. 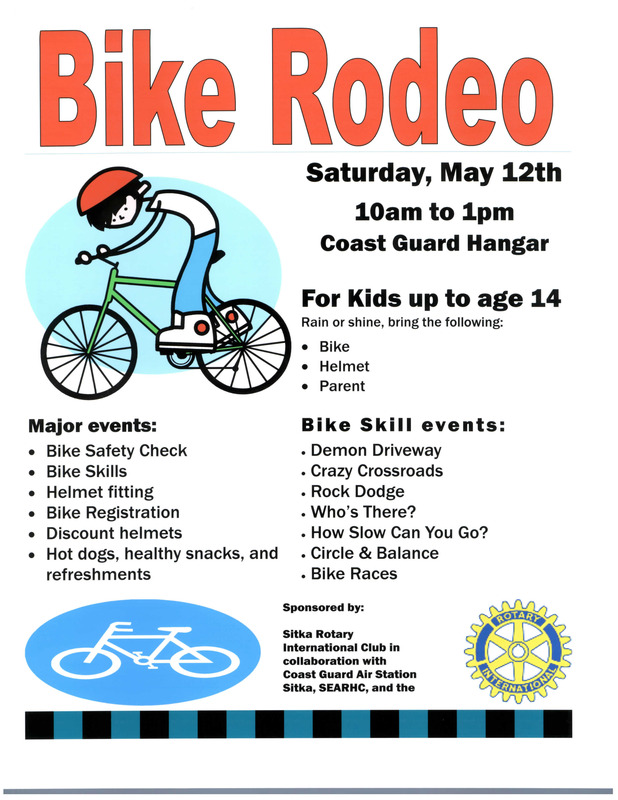 This year’s bike rodeo takes place from 10 a.m. to 1 p.m. at the Coast Guard hangar. The target audience for this event is children age 14 and younger (though it may be below the level for experienced pre-teen cyclists). Kids need to bring their bike, a helmet and a parent to this event, which will happen rain or shine. Here’s what to expect — bike safety checks, bike skill events (Demon Driveway, Crazy Crossroads, Rock dodge, How slow can you go, Circle and balance, and more), helmet fitting, bike registration, discount helmets, hot dogs, healthy snacks, and refreshments. 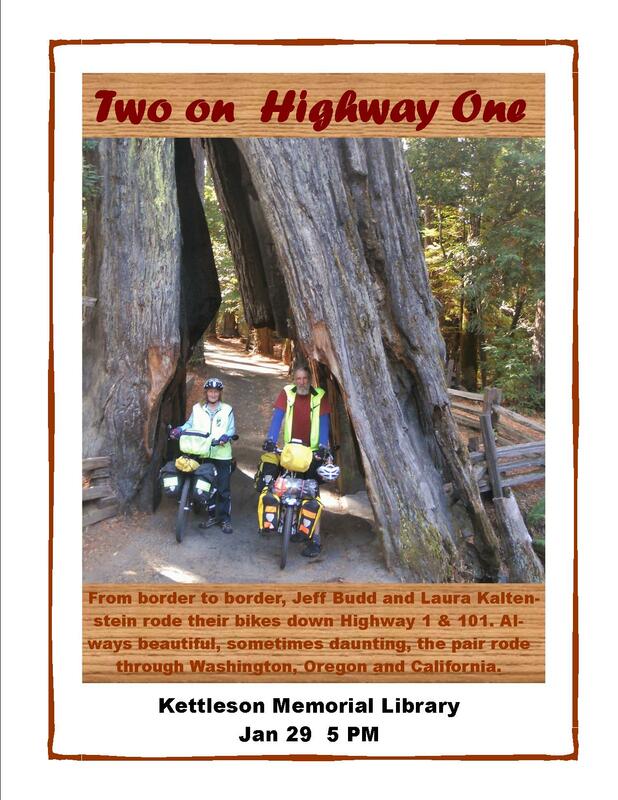 For more info about the Sitka Bike Rodeo, call Jeff Budd at 747-4821. Here is a story from last year’s Sitka Bike Rodeo with pictures from 2010. Since more Sitka kids than usual will be hopping on their bikes this week, SEARHC Health Educator Doug Osborne (who is a League Certified Instructor by the League of American Bicyclists) compiled a list of his top 16 safety tips for youth cyclists. 16.) Concentrate and pay attention to the traffic around you. 15.) Stop at STOP Signs and red lights, if you are going to turn then signal. Put your left hand and arm straight out for a left turn and your right hand straight out for a right turn (some people stick their left arm straight out, but bent at the elbow so the hand is straight up to signal a right turn). 14.) Bike in a predictable way and ride in a straight line instead of swerving in and out of traffic. 13.) Ride single file and give other bike riders space. 12.) Walk your bike across busy intersections, when you are not sure what to do or when it’s dark outside. DON’T RIDE IN THE DARK. 11.) Always wear shoes and make sure they don’t have long laces flying loose. 10.) Pick good daylight times and safe low traffic places to bike. 9.) Walk your bike on downtown sidewalks and give walkers the right of way. 8.) Keep both hands on the handlebars and always stay in good control of your bike. 7.) Ride on the right side of the road, with the flow of traffic. 6.) Keep your bike well maintained: your parents and the local bicycle shop can help. 4.) When leaving the driveway and before getting on the road, stop, look left, look right, look left again and only go if the coast is clear. 3.) Ride a bike that fits you, if it’s too big or too small you can lose control. 2.) Make sure that your brakes work and tires are pumped before each ride. 1.) ALWAYS WEAR A HELMET and make sure that it’s strapped up, level and snug. Gloves and eye protection are also recommended by the League of American Bicyclists. Doug also is providing schools and parents with copies of an Are You Street Smart? 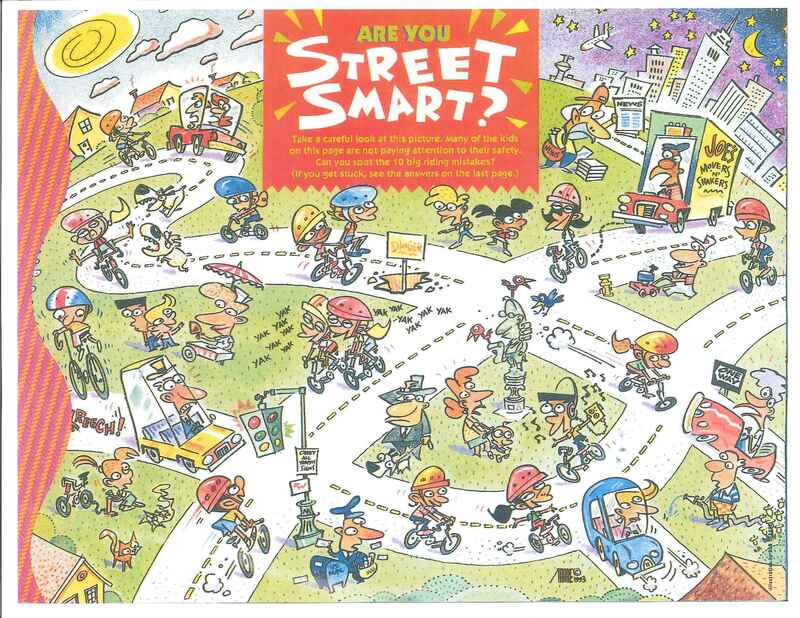 graphic and bike safety quiz he found in Sports Illustrated for Kids magazine. The graphic shows a variety of traffic situations, and kids are supposed to circle which ones are wrong (such as riding on the wrong side of the road, not having hands on the handlebars, no helmet, etc.). He suggests parents have kids find at least one wrong item for each year of a child’s age (eg, a 7 year old finds at least seven items, a 10 year old finds 10 items, etc.). The link below has the graphic as a printable PDF document (with its answer key). The League of American Bicyclists also has several tips for teaching children safe riding habits.